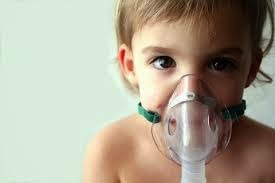 As Asthma is becoming more and more common especially in children, it makes people wonder why is it so common now a days? Is it from the climate being not as it used to? I for one am a victim to Asthma and I have had it my whole life. 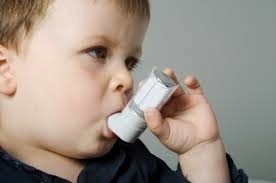 The most common reason for children to have Asthma is due to their family history of having Asthma or allergen problems. Due to me having Asthma, I know exactly how it feels but also how to treat it. Most doctors say that children with Asthma should stay inside more or not play or do any strenuous activities such as football or baseball, but I believe they should try and be even more active as the regular students or children around them. I believe this because I feel it will strengthen their lungs in order to try and grow out of it. With me, I have always played football and baseball but my whole family has a history of Asthma so there is basically no way for me to grow out of it. When I was little, I would get hospitalized every winter due to the cold air but recently, I haven’t been having that problem or been hospitalized. I believe that this may be due to the doctors giving me the right medicines and dosage in order to control my Asthma. One thing a parent needs to do is go to the doctor to get the child looked at if any breathing is occurring. If this is happening, and it is Asthma,it is because the child’s airway is being tightening up and the child may be feeling as if a two hundred pound man is sitting on his or her chest. In an article it says, “It's important to tell the doctor about any family history of allergies, asthma, and sinus problems. This information and careful observation of your child over time will help the doctor decide if the symptoms are due to asthma or some other problem.” (Health, 2014). With this being said, parents need to make sure that the doctor knows everything in your family’s history not just about Asthma but also any other health problems just to keep your child healthy or to help understand any health issues that your child has been or is having. With Asthma, there is something that usually triggers it. One way to figure this out is by having your child do a scratch test in which they take samples of items such as dog hair or walnut trees and put it on a scratch tester where they push or rub into your skin and if your skin has a reaction or makes it hard to breath then that is something that you are allergic to. When I took the test, I was allergic to animals, walnut trees, milk, mold, grass and multiple other things. Being allergic to grass is definitely tough when you are an athlete because you have to be able to try and control your Asthma even though you are always on grass when being a part of sports. Many people are wondering why more and more children are getting Asthma and really there is no clear way to explain why. There are many factors but none can be completely pin pointed by experts. In an article is stated, “No one really knows why more and more children are developing asthma. Some experts suggest that children are being exposed to more and more allergens such as dust, air pollution, and second-hand smoke. These are factors that can all trigger asthma. Others suspect that children are not exposed to enough childhood illnesses to build up their immune system. It appears that a disorder of the immune system in which the body fails to make enough protective antibodies may play a role in causing asthma.” (Jonathan L Gelfand, 2012). One of the biggest things children need to know when they have Asthma is where their inhalers are and how do they use all of their medications in order to help control or prevent their Asthma from acting up.